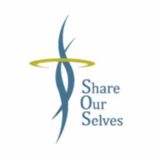 Help Share Our Selves (SOS) prepare kids for academic success. The SOS Back To School Program provides backpacks filled with school supplies for Orange County children in need. SOS recognizes that to a child a new backpack brings confidence and provides them with the right tools for success in school. Volunteers are needed at We Care Wednesday at the Orange County Fair. Volunteers must 18 and over, able to lift 10 lbs. or more, stand for long hours, and bend or turn often. For more information about this and other Back to School volunteer opportunities be sure email bts2016@shareourselves.org.